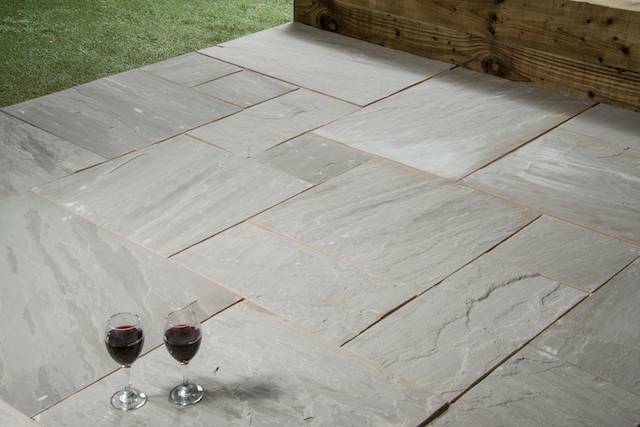 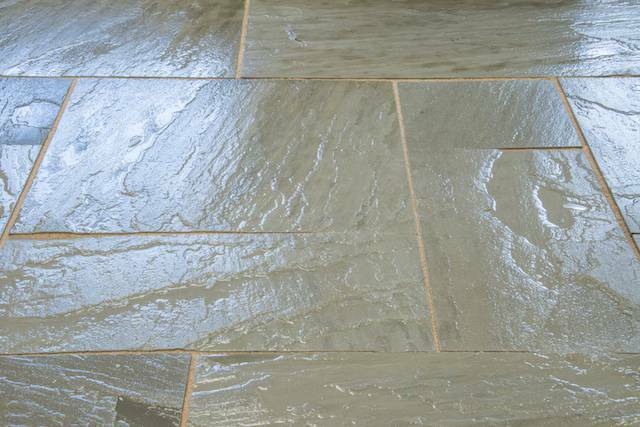 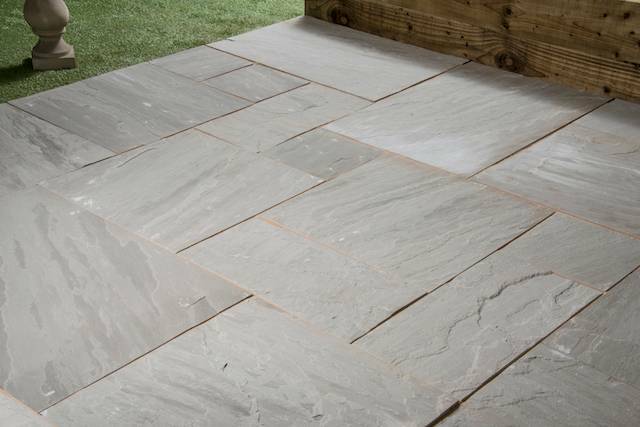 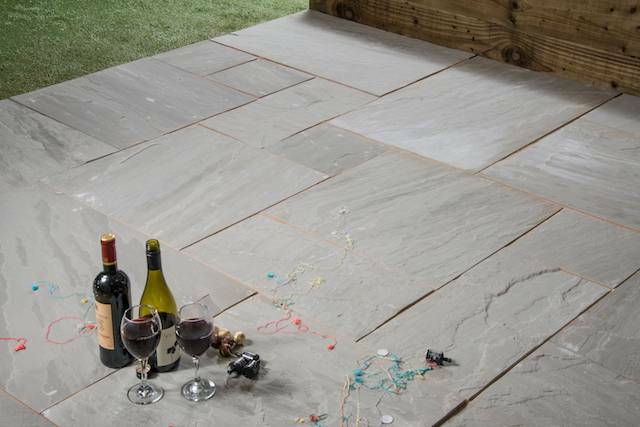 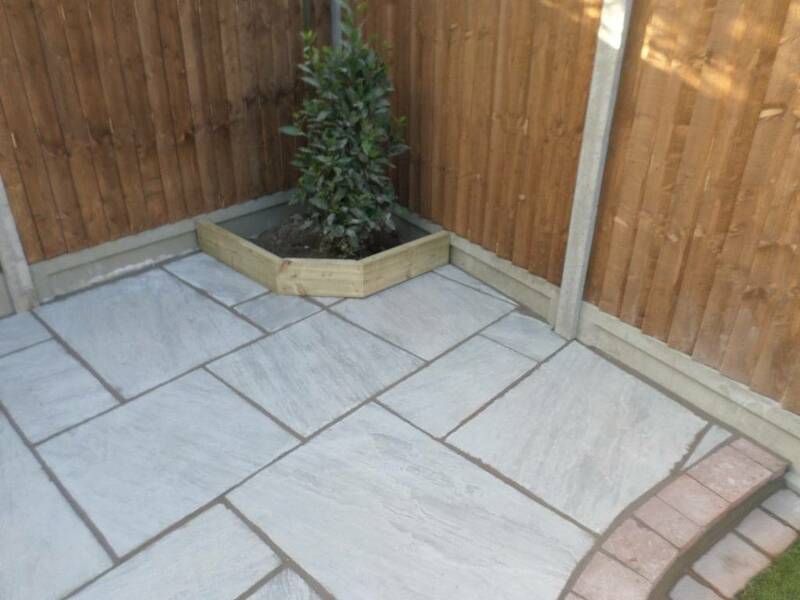 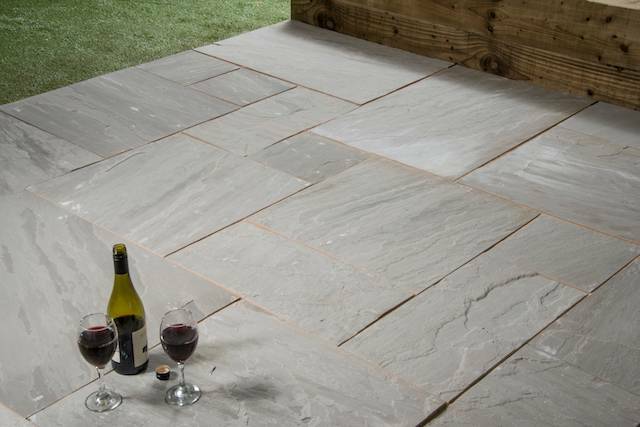 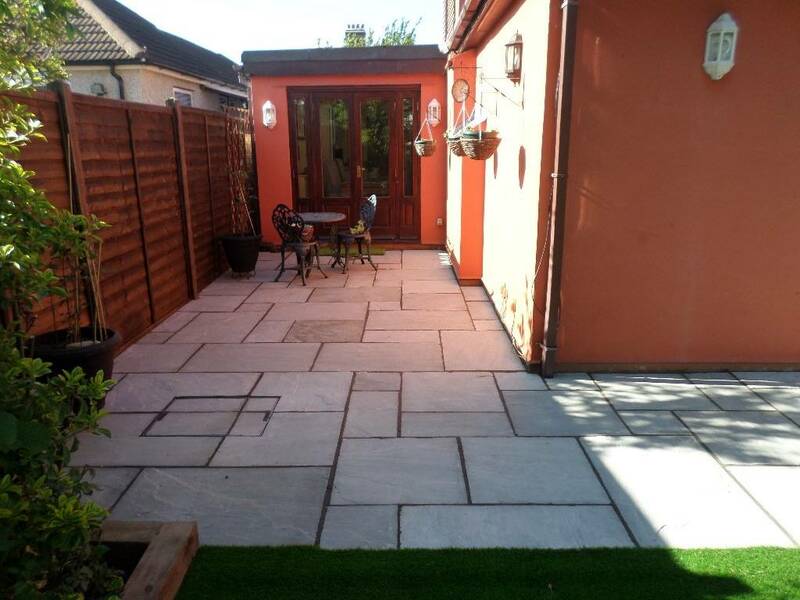 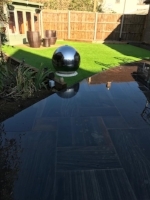 Grey Indian sandstone paving slabs are our most popular slabs they are a very hardwearing stone that will last you for many year if installed correctly please see our install website if you would like a installation service. 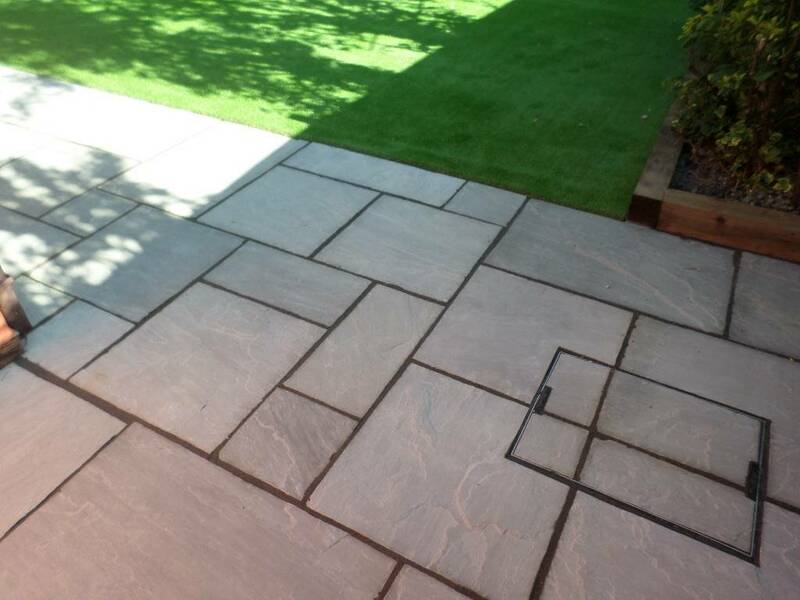 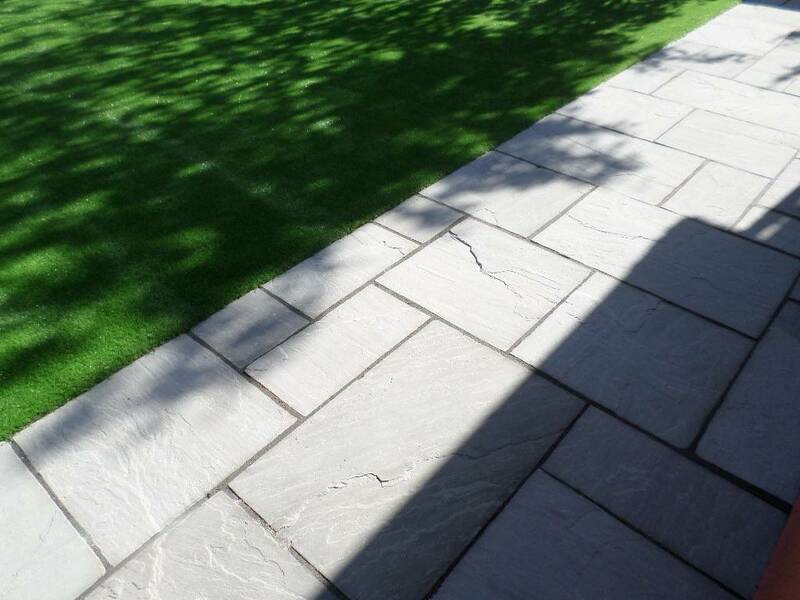 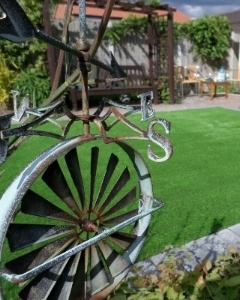 The light but conservative colour makes them an excellent choice for giving your garden, paths and patio area’s a soft yet welcoming feel that look very modern. 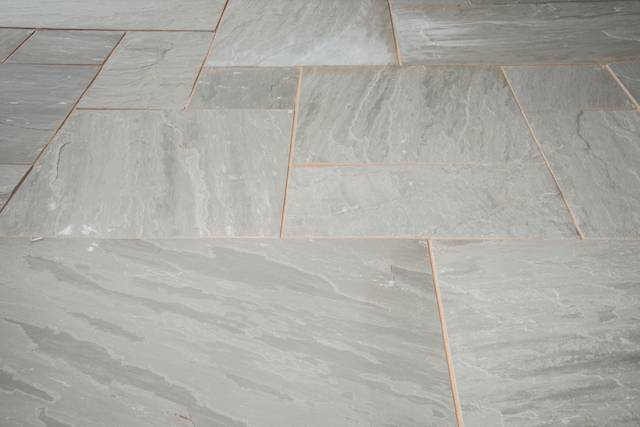 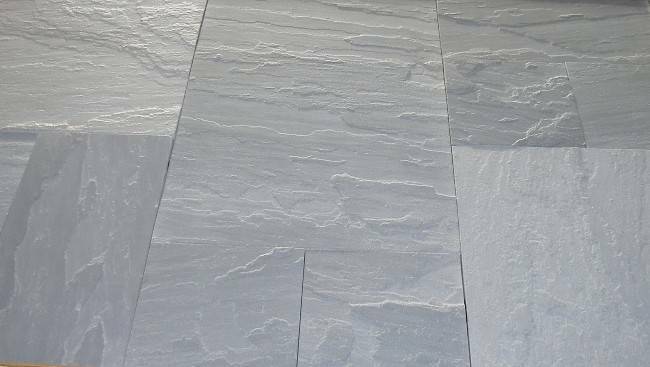 Its subtle colour variations form the beauty of the stone. 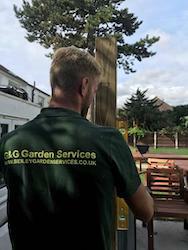 all packs are 15.25M2 and are Calibrated to 22mm. 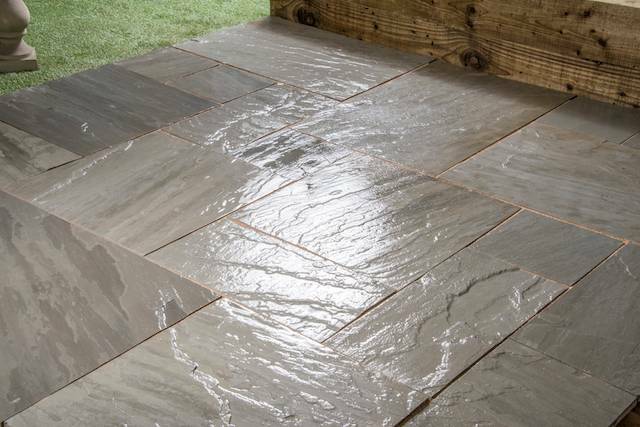 £23.50 per M2.